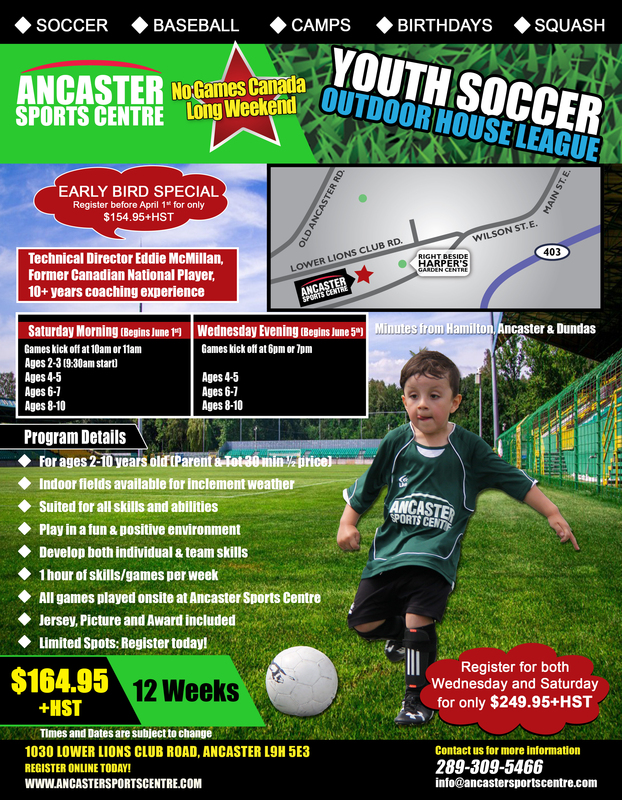 The Ancaster Sports Centre youth soccer house leagues are offered on our brand new State-Of-The-Art turf. Select either Saturday or Wednesday – $164.95+HST for 12 games – Spaces are limited, Register today to secure your spot! If you have any questions about our soccer program, we would love to hear from you! $79.95+HST for 6 sessions – Spaces are limited, Register today to secure your spot! Our youth House League soccer is a great introduction to soccer/sports for all kids. All games are played in a fun and positive environment where children will learn the basic skills of the game while making new friends.